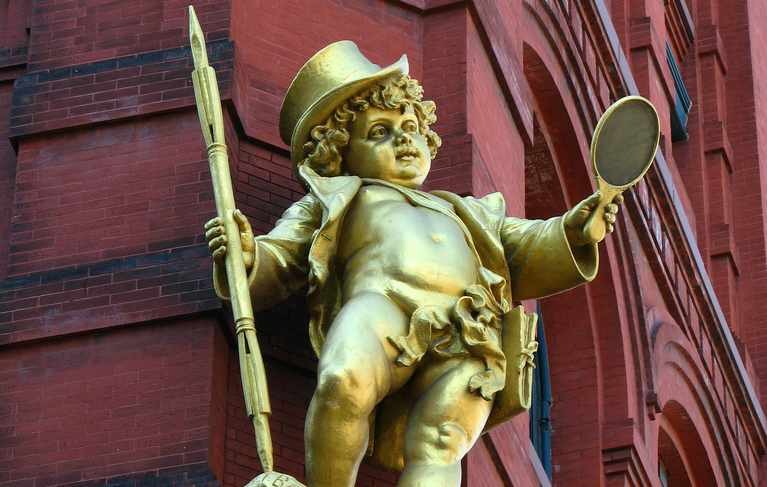 A 6-foot plump gold impish figure stares down as you look up to observe the gorgeous red-brick design of the Puck Building, built for one of the 19th century’s most popular illustrated publications. But this architectural masterpiece was very nearly wiped away by a sudden decision by the city. How did it survive? Puck’s utterance “What Fools These Mortals Be!” is the slogan for Puck Magazine and words written by Shakespeare. An illustration of what the Puck Building looked like pre-1897…. …and how the truncated Puck looks today. 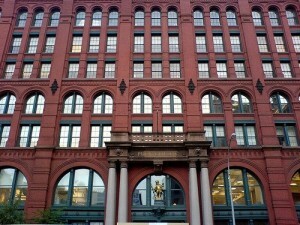 There are, of course, two Pucks at the Puck Building. 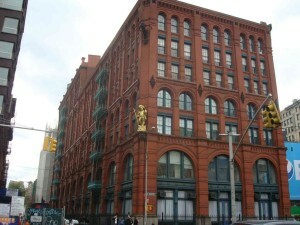 A smaller, newer Puck stands over the main entrance. 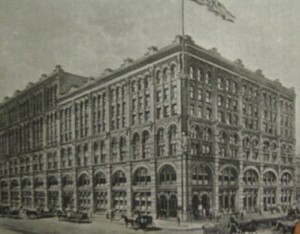 Neither this entrance nor the Puck above it existed before 1897. 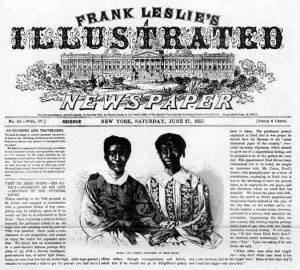 An early issue of Frank Leslie’s Illustrated Newspaper. 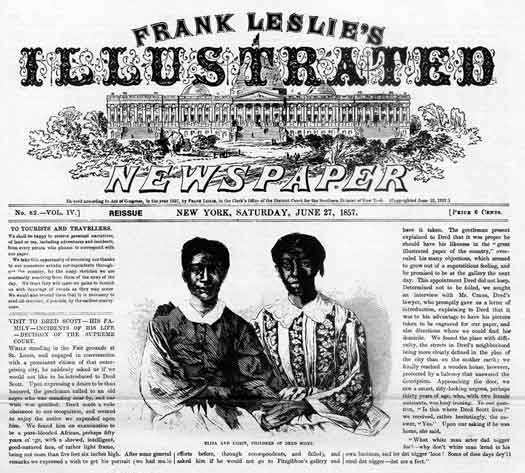 Keppler went to work for Leslie before striking out on his own with the far more satirical Puck Magazine. 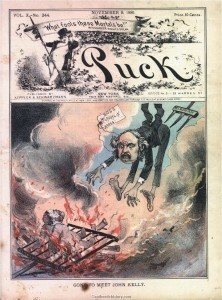 Some images from Puck Magazine. 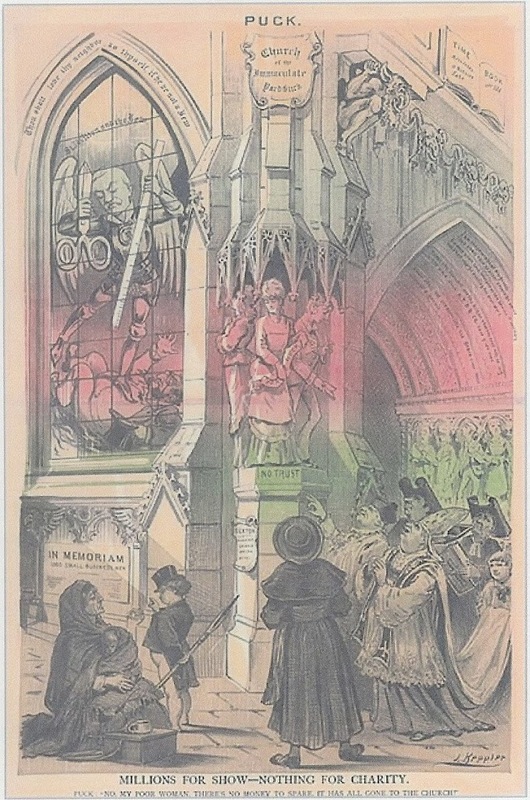 Please click into the images for greater detail. Below is a cover from 1881, satirizing Brooklyn’s most powerful Democrat, Hugh McLaughlin, who frequently butted heads with Tammany Hall. 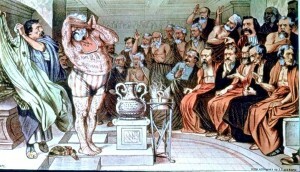 Republicans attempt to stitch together their fractured party, in an illustration by Keppler himself. Keppler was one of the most influential illustrators of his time, second only to the great Thomas Nast of Harper’s Weekly. 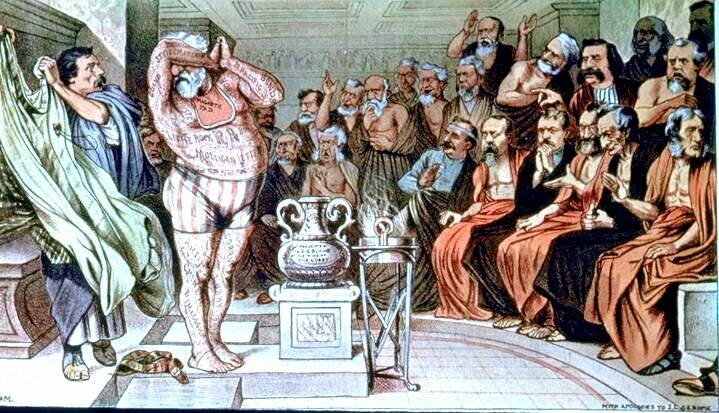 Possibly the most powerful image the magazine ever ran was this one, mocking presidential Republican candidate James Blaine. 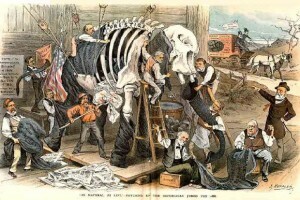 Keppler was a supporter of Democrat Grover Cleveland, and cartoons like this swayed public opinion. 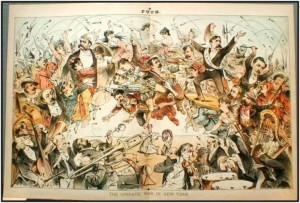 Cleveland beat Blaine in the presidential election of 1884. 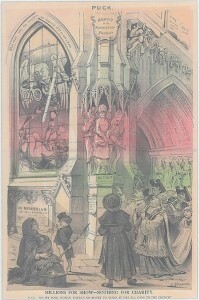 In the interior illustration below, Keppler displays his obvious anti-Catholic (and, by extension, anti-Irish) bias. 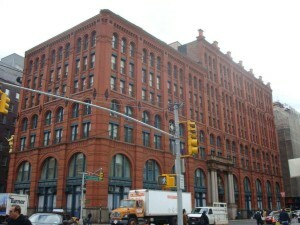 Puck himself is inserted in this image at bottom left. 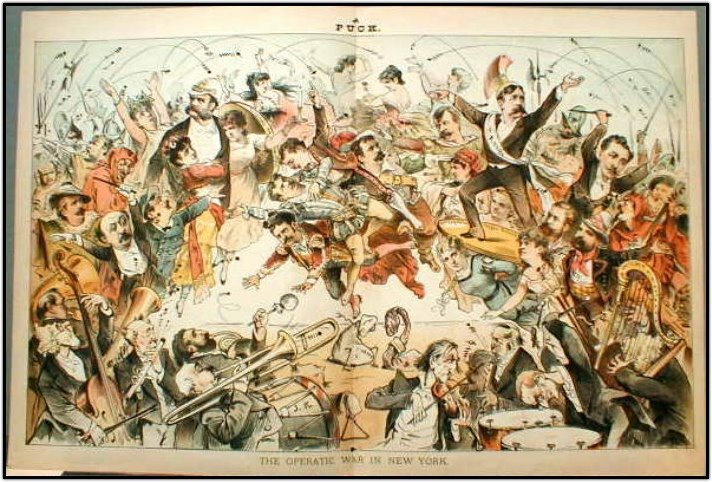 One of my favorite images, and a good example of Puck’s centerfold illustrations, this one expanding on the war in 1883 between the Metropolitan Opera and New York’s Academy of Music. One hundred years after the Puck Building opened, another catty, satirical magazine Spy Magazine moved in, carrying on the tradition of political lampooning.